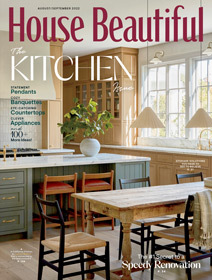 Last week, after reading my newsletter and column about pink, my friend, Marie, lent me her copy of the March House Beautiful: it’s all about pink. The feature begins by talking about the spicy, sensual colors from India (sound familiar? ), then goes into floral pinks and crimsons. 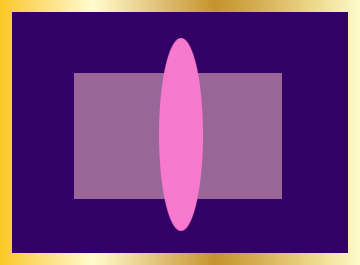 It suggested combining deep indigoes and eggplant shades with pink, and I love that idea… I’ll be playing with palettes that include those. Can’t wait to see the impact that deep, dark indigo has when combined with hot pink, pale pink, and medium shades of pink. I’m foreseeing some very unpredictable harmonies on the horizon! I’ve suggested eggplant and pink in past Color Reports. Here’s a quick study: rich eggplant as the dominant, a low-intensity mauve as the secondary, and a bright (but not screaming) pink as accents. You have to use gold to finish this off elegantly. If you make something in this palette, send me a digital photo! Pantone has choosen an exquisite pink for the 2011 Color of the Year, which you’ll hear more about in the coming weeks, when I publish the Spring Color Report for Bead and Jewelry Designers (on Valentine’s Day). This is a pink I think everyone will swoon over (my iPod Nano is this shade of pink). Marie also gave me the latest Chico’s catalogue, filled with pale pink clothing and jewelry. I enjoy all the pale pink, but was dissapointed at the lack of stronger and brighter pinks. The Chico’s website will show you more. 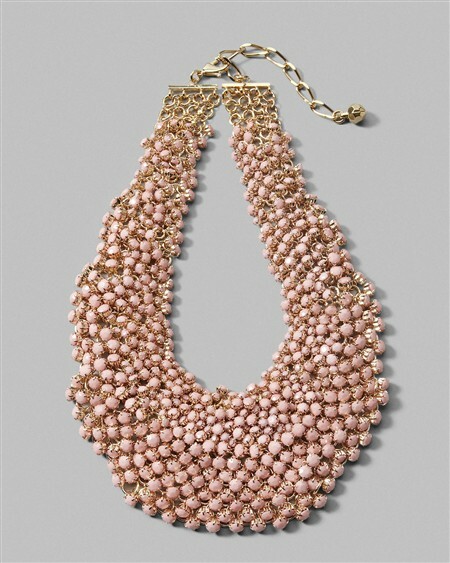 Check out the Pensee necklace and it’s bib-like mass of pink beads. And just for fun, take a look at this pink vacuum cleaner I wrote about on my blog in May 2008.